I repeat quite often that finding the right people to watch, read or listen to your stuff is the only key to success. You may have the best content or have the best personnality on earth, but if we can’t find your content you just don’t exist. Period. And it’s not even a matter of people finding you: YOU have to find them. We’re now at a point where there is so much content available everywhere and at every moment that people don’t even search for it. And if people don’t search for your stuff, how can they find you? 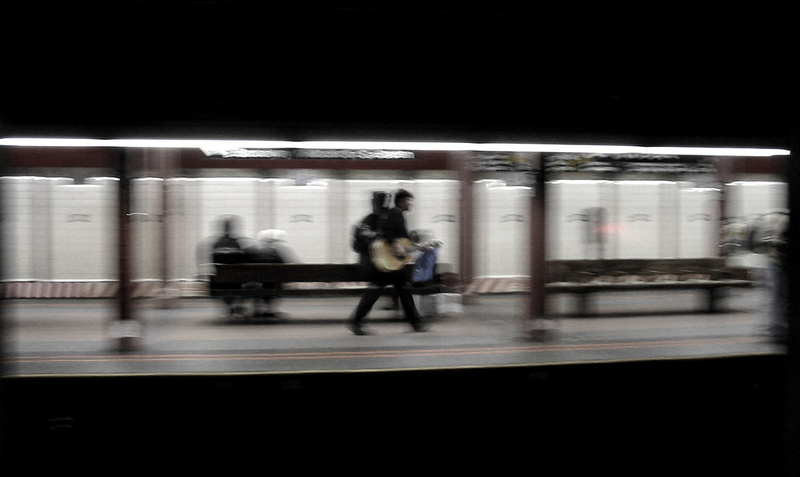 I was walking on the street on a sunny spring day and saw a man on the boardwalk walking with a guitar in his hands. The surprising thing is that he was playing and singing as he was walking. Rather unconventionnal I admit: in the cities, we’re used to see those guys sitting on the ground, with their hats, often in the metro, playing and trying to get a few quarters. But the problem is, we don’t see them anymore. Nor do we hear them. I don’t know if the guy was fully conscious of the genius of his idea (or if he was just too bored to be sitting still, playing his guitar) but it really worked. Everybody was turning their heads when they crossed his path and some of them would talk to him. And the guy also had his CDs with him. Nobody was coming to him, he decided to go where the people were on a sunny Saturday: on the street! Brilliant stuff I tell you. We’re going through the same problems with media on the web these days: we’re so used to seeing the same stuff standing in the same place that we don’t see it anymore. And as we don’t search for new stuff due to the abundance of content available at every moment, everywhere, we don’t discover new stuff. Maybe we can learn something from this guy, by displaying our content in an unconventional manner, or just asking ourselves this question: where does our audience really hang out on the web? After seeing the walking guitarist, I only had one question in mind: Do we really do the right stuff in this space? 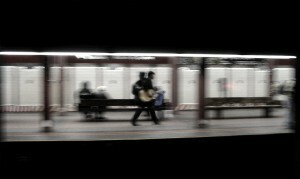 Just published a new blogpost this morning called "Finding your audience" http://bit.ly/Fn3X If that’s any helpful to what you do. Finding your audience: http://bit.ly/Fn3X If it’s any helpful to you. Yes, it’s brilliant. I’m sure there is way to translate this to the web! It’s better to find new ways to get to your audience than to change your content to please the audience you have already access to.